Each staff member of St. Luke's loves God and His people. They feel honored and privileged to work at St. Luke's and with its surrounding community. Rev. Michael J. Schmidt was born and raised in Southern California. He was installed as the Sr. Pastor at St. Luke’s on October 2, 2011. He and his wife, Kristina, have 4 children, and they enjoy spending time at church events and their children’s activities. 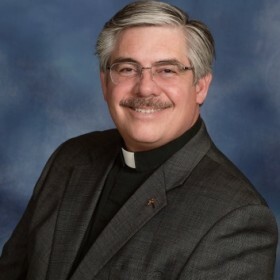 He earned a Bachelor of Science in Industrial Engineering in 1989 from Cal Poly Pomona; a Master’s of Divinity in 1995 and a Master’s of Sacred Theology in 1996 from Concordia Seminary in St. Louis; and a Master’s of Science – Family Life in 2011 from Concordia University Nebraska. 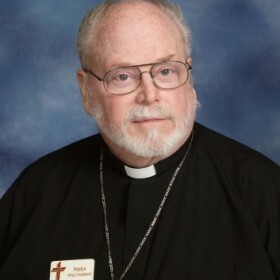 He served as the Associate Pastor at Prince of Peace Lutheran Church in Fremont, CA, from 1996-2000, focusing on youth and evangelism; and he served as the sole Pastor at Desert Foothills Lutheran Church in Scottsdale, AZ, from 2000 to 2011. If you have any questions or suggestions concerning our program here at St. Luke’s or Kansas State University, you may email him. She graduated from Concordia University, Chicago in 2011 with a Bachelors’ in Psychology and Director of Christian Education. 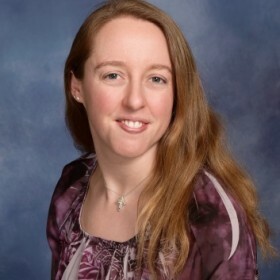 Her internships were completed at Oak Park Township in Oak Park, IL with a focus in Elderly Abuse and at Trinity Lutheran Church in Urbana, IL with a focus in youth ministry, respectively. In between graduation and receiving the Call to St. Luke’s, Charity worked at Luther Memorial School in Richmond, VA working in the Preschool and 1st-3rd grade. Charity is very excited to be able to serve God and His people here in Kansas and is looking forward to new ministry opportunities. Jean was born and raised in northeast Kansas. 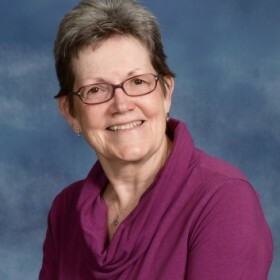 She has served as the office coordinator at St. Luke’s Lutheran Church since December 2009 and enjoys her interaction with the congregational members. After graduating from the Brown-Mackie School of Business, she was employed at Kansas State University (KSU) until her husband Morris finished his degree. Upon his graduation, they moved to the Kansas City area where she managed an apartment complex before becoming a stay-at-home mom. Several years later, the family returned to Manhattan and Jean worked at KSU many more years. In 1993, Morris and Jean went to serve overseas in the mission field with the Lutheran Church Missouri Synod. They served in Russia and Kazakhstan until June 2008. Morris and Jean have 2 children and 2 grandchildren. In her free time she enjoys reading, walking, and gardening. 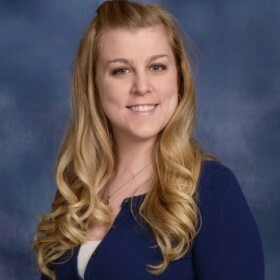 Gretchen has lived in Manhattan since 1994 and graduated from Kansas State University in 2009 double majoring in Music Education with a choral emphasis and piano as her major instrument and Elementary Education with a special education concentration area. In addition to working at St. Luke’s, she teaches general music at Lee Elementary School and teaches private piano lessons. She is married to Ian and they have a dog-child, Finnegan. Tracie is happy to be joining the St. Luke’s Preschool ministry. 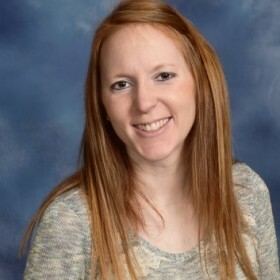 Previously, she taught at Zion Lutheran School, in Kearney, Nebraska, as the 1st/2nd grade teacher, for 6 years. The past 2 year she has been as a stay-­‐at-­‐home-­‐mom, and now it is her pleasure to share the love of Jesus with the children at St. Luke’s. One may also see Tracie teaching BASIC on Wednesday nights, helping with Vacation Bible School or joining in the Sunday morning fellowship. Those closest to her heart are Andrew (her husband), Gavin (her 3 year old son), and friends and family back in Nebraska.